OMG Vincent! I’m breadthless! 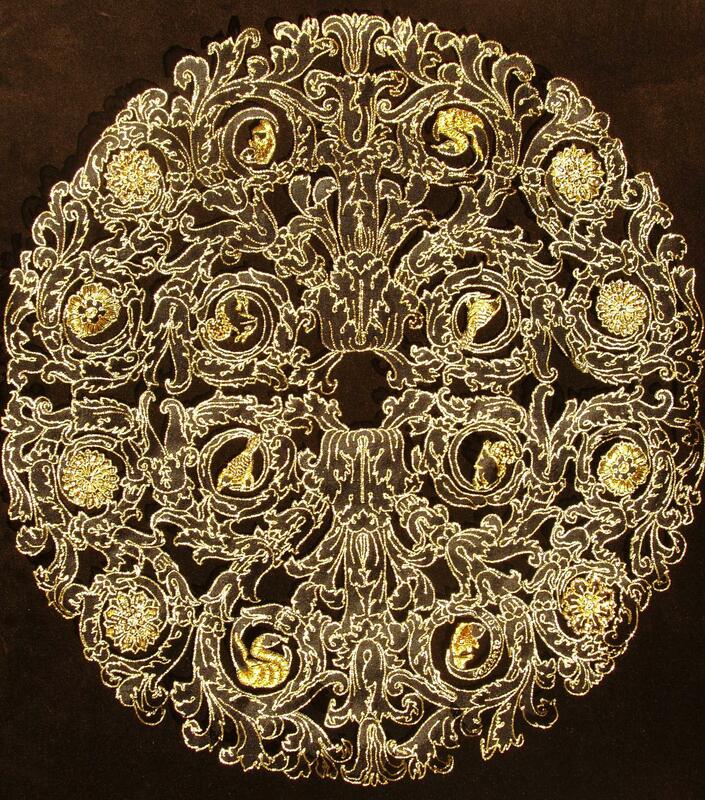 This is really exquisite! Are you saying that you made this piece? ^_^ I know, I can´t believe it myself. hehe. The Work is beautiful by the wonderful lighting, very special. how long does it take before you’ve finished this work? This is gorgeous – well done! I love the idea. I also love all the little animals and things hidden in the leaves. Wunderbar. Habe die Arbeit über stitchin fingers gefunden. Ich freue mich auf Altensteig. Vielen Dank! Nimm Fotos auf bitte. lol! ich kann leider nicht kommen. 😦 vielleicht nächstes Jahr. If these doesn’t win you masters in the competation then the judges are all BLIND!!!! Best of luck Vincent…..
lol! thanks Jan. Well, it´s the 25th foundation year, there will definitely be real master lacemakers who will show up. There are lots of bobbin lacemakers and crocheters. 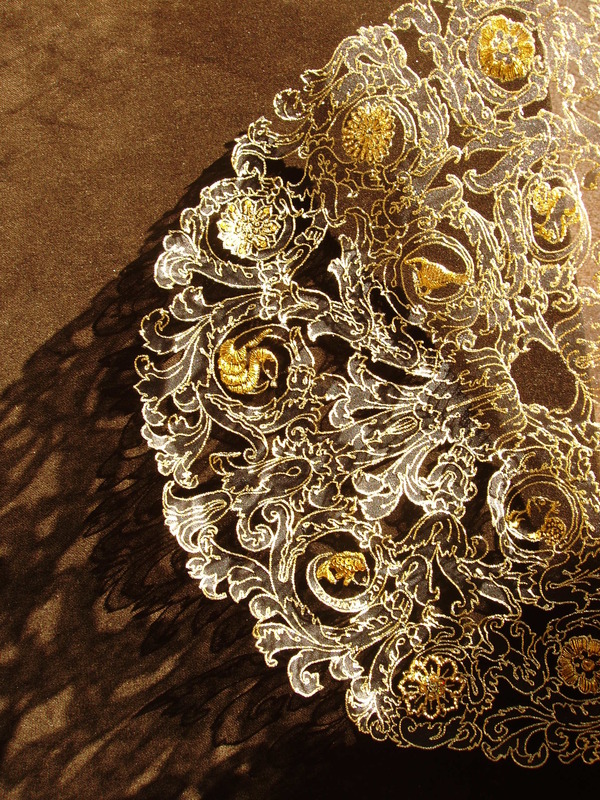 Plus the traditional embroidered lacemakers (whiteworks, cutworks, pulledwork, etc.) 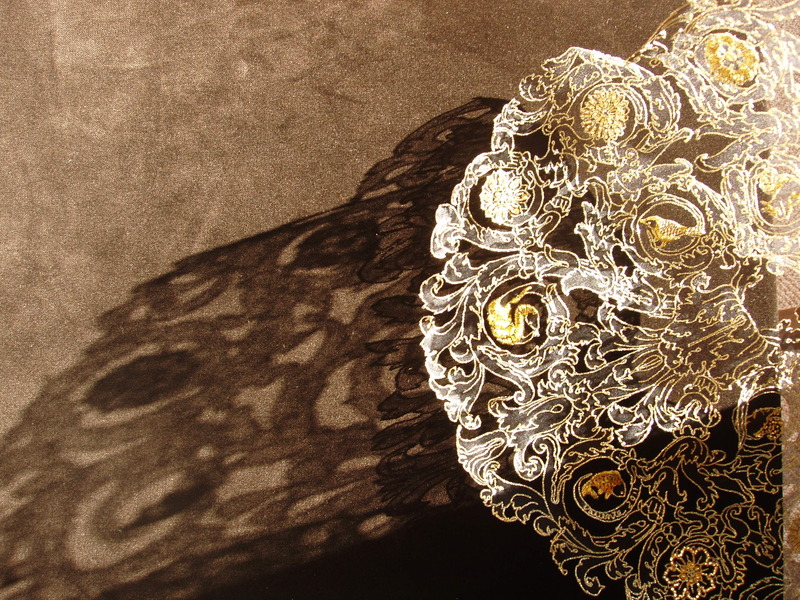 I did a black and gold lace, and I combined tambourwork and cutwork. Wow! A truly amazing peice! This is stunning. Sorry to hear you were disqualified- but hey, you one a great award. So glad to have found your blog thru stitchin fingers. Take care! I keep thinking you painted this … to look like lace. One word comes to mind – AWESOME.